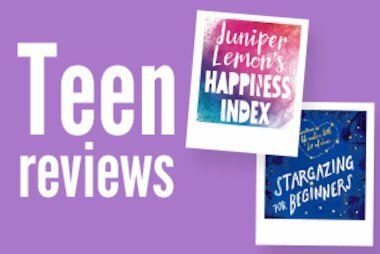 Every half term we ask a number of our most lovely and most dedicated teen readers to write us a book review to coincide with the launch of each offer. 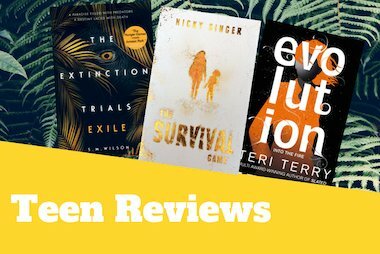 If you’d like to write a review for us about one (or more!) 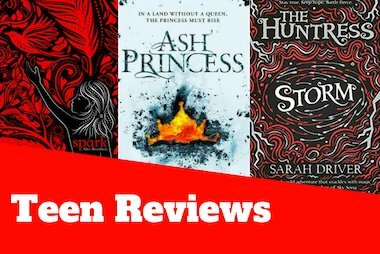 of our YA titles go to www.scholastic.co.uk/teen-reviews for more details. Every Day is a unique and gripping book which follows the character of A. Every morning A wakes up in a different body. He must remember to not interfere with the person’s life or get too attached. A found it easy up until he woke up in the body of Justin. He soon meets Justin’s girlfriend Rhiannon and instantly finds a connection. The rules in which A has lived by no longer apply when he falls in love with Rhiannon…but will Rhiannon be able to love someone who wakes up in a different body each day? 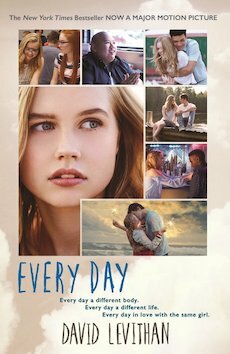 Every Day is a romance for older teens and is perfect for fans of Papertowns. It is a unique story which shows how each individual is different and how far we will go for love. It isn’t a book I would normally read but thoroughly enjoyed it! The prominent pink cover may put some readers off assuming it is hideously ‘girly’ when that isn’t the case. The pink doesn’t really reflect the story but the headphones do, as they link with the outline of the boy on the back. Lily scribbles down some song lyrics by a niche band on her Chemistry desk and is surprised when someone writes down the next line. They begin to exchange letters – heart-felt letters – and Lily finds herself in love with the mysterious writer. Will she be able to track them down before she ‘loses her heart’? P.S. 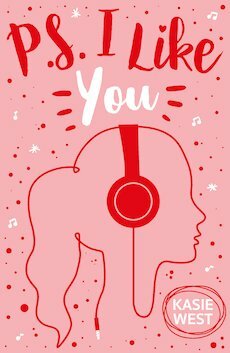 I Like You is a captivating novel about following your heart, whatever consequences and struggles you may face along the way. At the start, I personally thought it wasn’t that interesting, as there were no cliffhangers or gripping plots. However, I continued reading and I soon discovered that as the story develops, you become engrossed in the tale. You can predict outcomes but they usually turn out incorrect, which was a great reason to love this book. I truly felt I knew Lily and when one of her many nerve-racking experiences appeared, I really empathised with her. When she cried, I cried; when she laughed, I laughed. I was filled with ambition for Lily – will everything turn out beautifully? 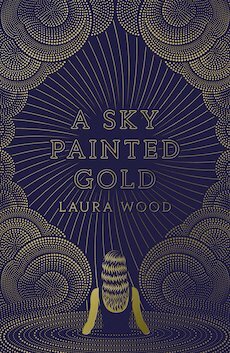 I rarely feel emotion with a character from a book – good or not – but this was one of the books where I felt her sorrow and believed in her dreams. If you love Girl Online then you’re sure to like this book. A true work of art by West! What did you like about the cover? It’s very mysterious and intriguing and reflects the genre very well. A young girl caught up in the lives of the rich and famous learns the harsh realities of money and love. It’s very fast paced and a real page turner with a set of believable characters and tragic mysteries from start to finish. Caitlin’s secrets really pulled on my heartstrings and I could not put it down! A sumptuous blend of history and romance with a sprinkle of mystery!